Smurf Ice Cream is smurfy! 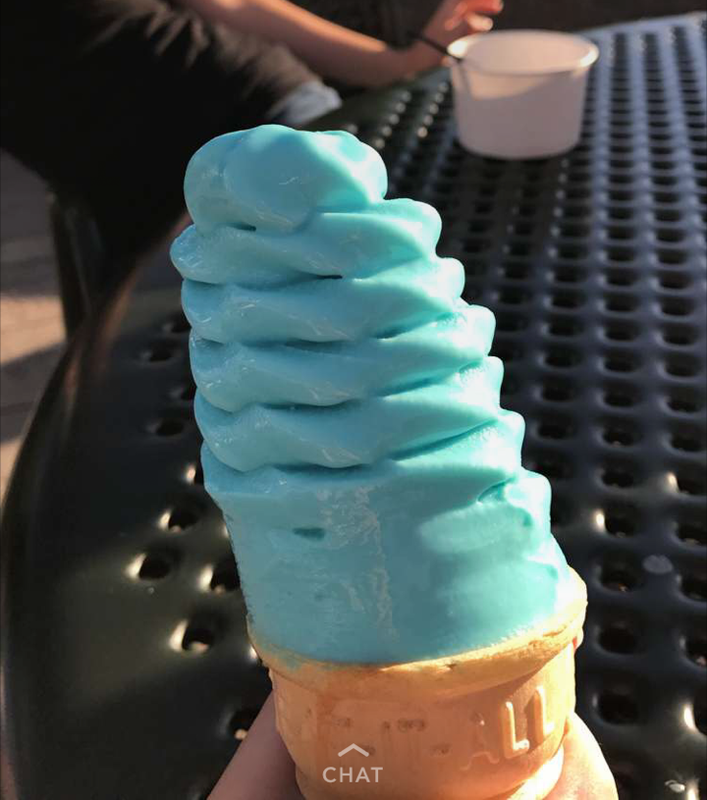 I have proof that Smurf Ice Cream still exists at King’s Island. A friend’s daughter sent the photo confirming the evidence. But the point is, it’s my favorite ice cream ever in the world of all worlds, if that makes any sense. Every time I went as a teenager, I would be sure to stop by the one shop that serves it twice — once when I got there, and once on my way out. And, of course, it had to have rainbow sprinkles. I’ve since tried to recreate the delicious flavor, and I’ve come close with blueberry Blizzards and shakes. But it looks like I might need to revisit King’s Island soon for a taste of my youth. I’ll skip the Vortex this time and just hit La Rosa’s pizza and maybe ride the pirate ship — middle seat, of course (hint: there’s never a line).